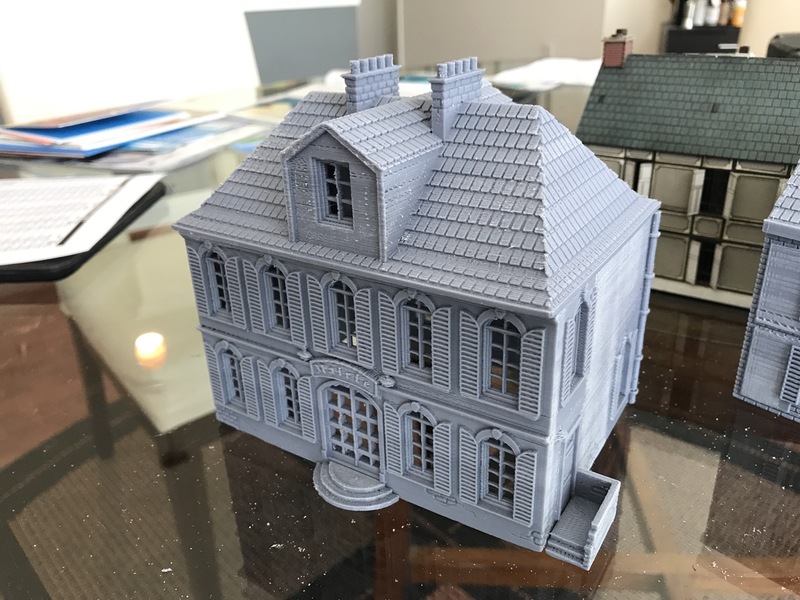 I've been printing out loads of terrain on my 3D printer, but this is my first finished piece. 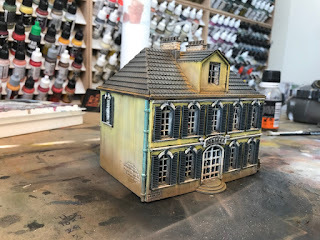 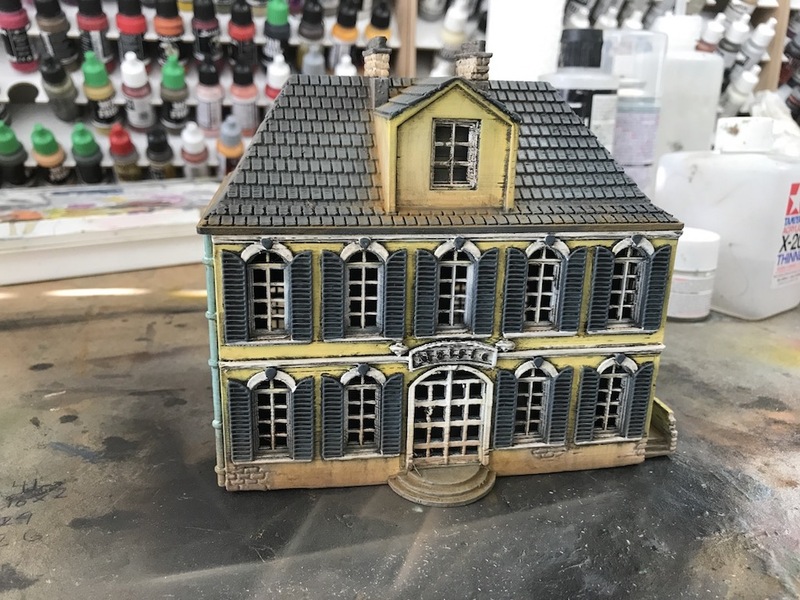 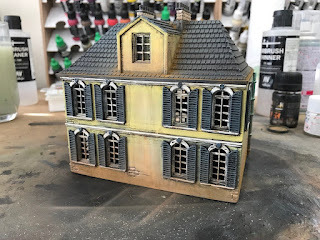 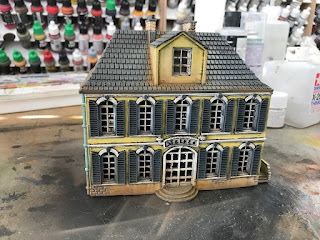 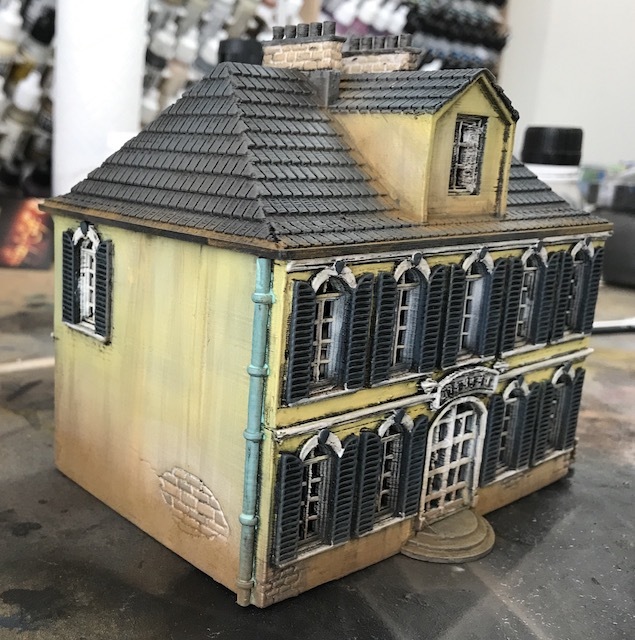 This building represents a French town hall typically found in Normandy and will be used in our WW2 club games. 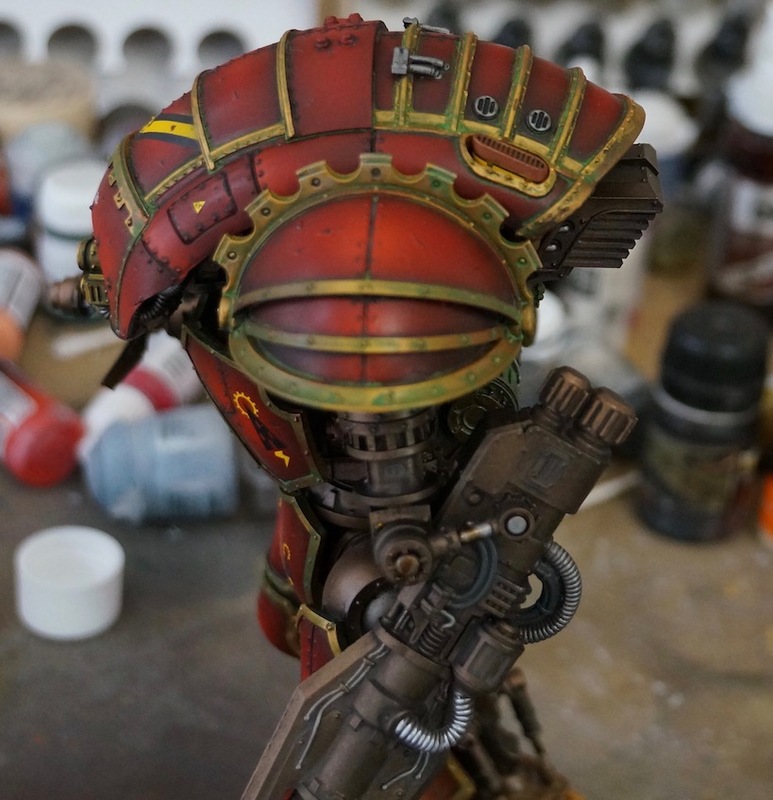 I wasn't sure how well the print would take paint, so I painted this fast and loose using a giant brush and very little care. This was completed in about two hours. 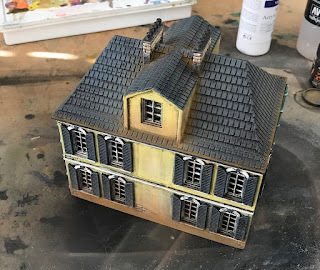 For a piece costing around fifty cents of material, I think it works pretty well. 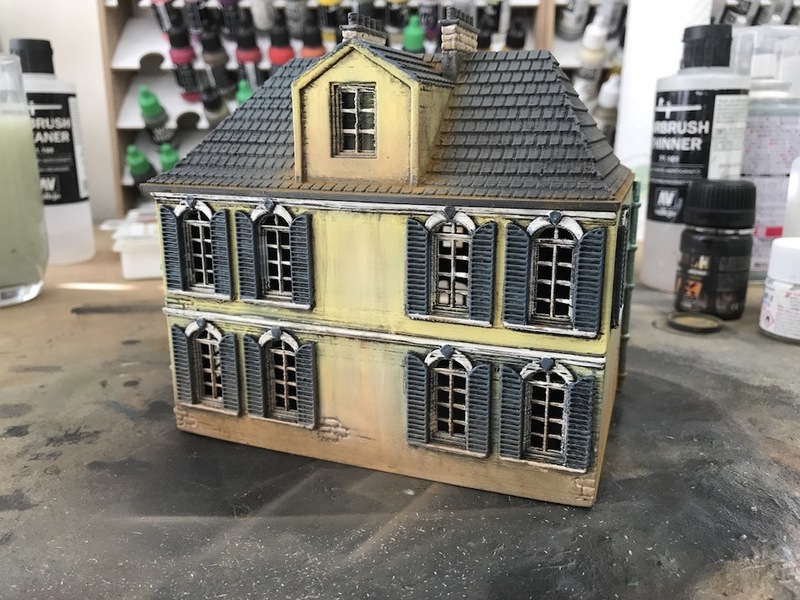 I did have to sand the raw print and fill in some holes using green stuff. I guess the question now is whether this terrain is good enough for a board, or if I should go back to buying resin pieces? 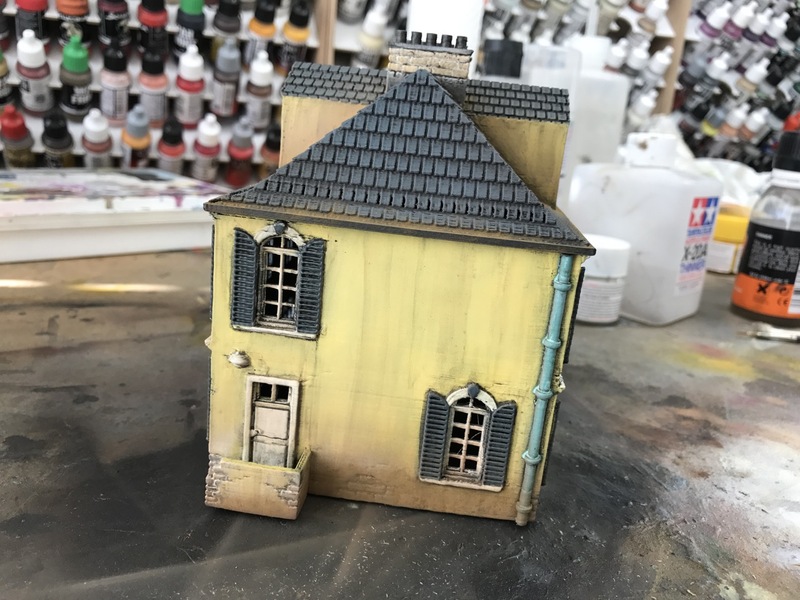 I like this more than MDF buildings, but maybe I should experiment with some kind of hybrid MDF+FFF. 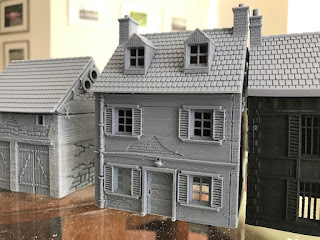 I've been experimenting with 3D printing for a couple of years now. 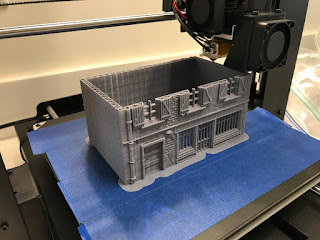 I started using an XYZPrinting SLA printer, and after that failed decided to try one of the inexpensive filament printers. It turns out that two years make a huge difference in quality. 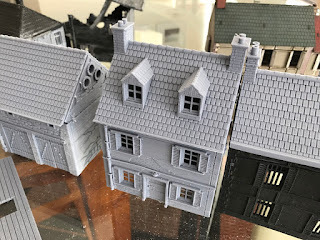 Using a Prusa i3 clone, made by Wanhao(duplicator i3 plus), I've been able to print at lot of interesting terrain. I'm only printing at .2mm resolution here, which is half the vertical resolution possible, but that is just due to impatience on my part. 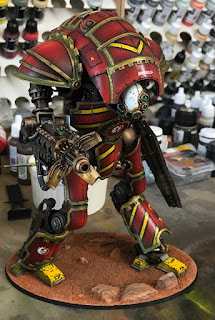 My goal is to have a new model to paint every day. 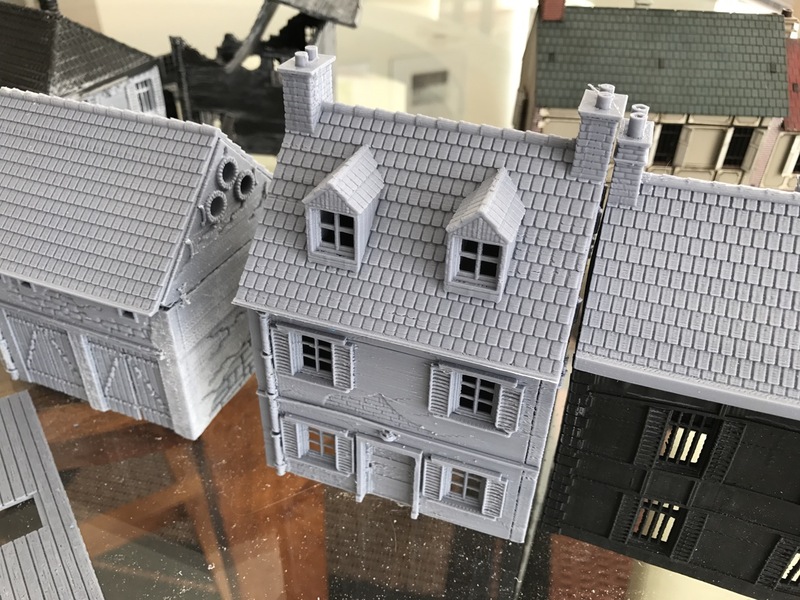 The prints do require finishing, but the bones are here for some really nice resin-ish quality terrain. 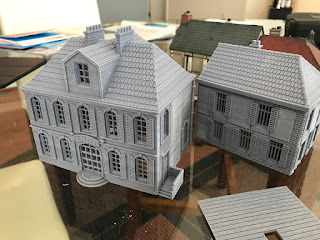 Since I'm currently printing in PLA, the only way to finish a model is to sand it. 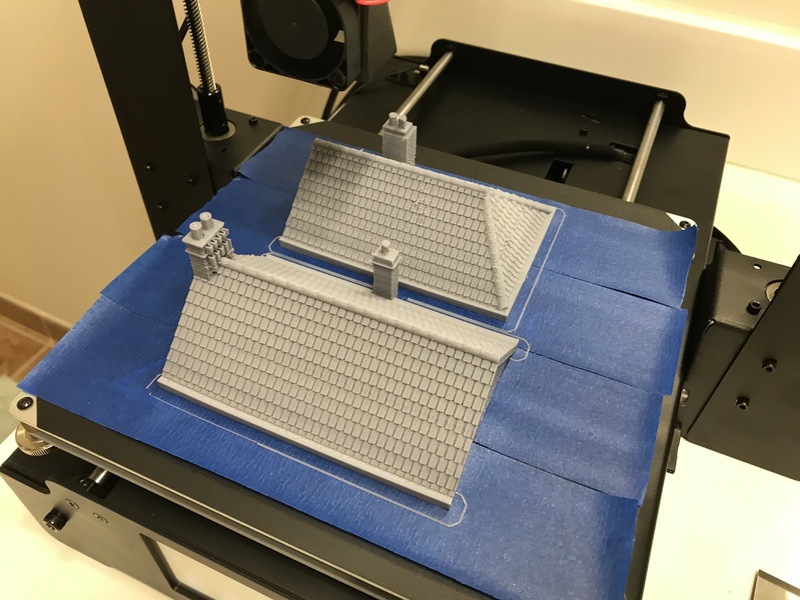 However, once this spool is done, I'm going to switch to ABS (lego plastic), which can be smoothed using acetone. With that with, the time between printing a model, and having it ready to paint will be nominal. 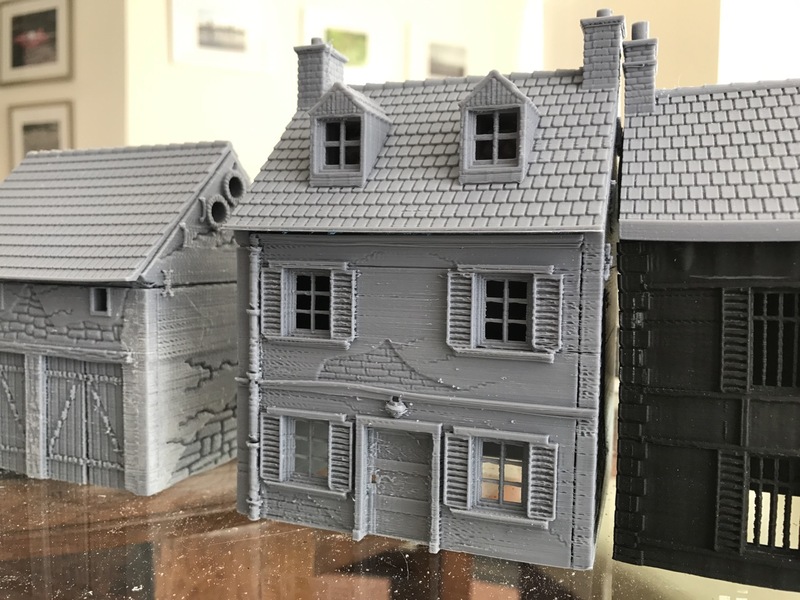 I'm still dialing in my printer, so the quality keeps improving. I've even printed out some printer parts to upgrade the printer itself! I continued working on the charity Knight today. 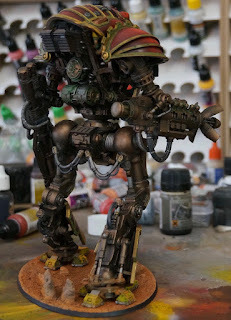 Oils were added to the pneumatics, eye lenses were repainted, and pigments were liberally distributed to tarnished surfaces. This guy is getting close to completion. 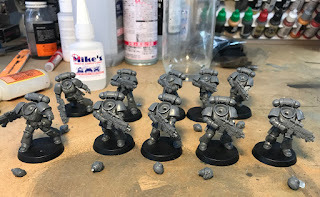 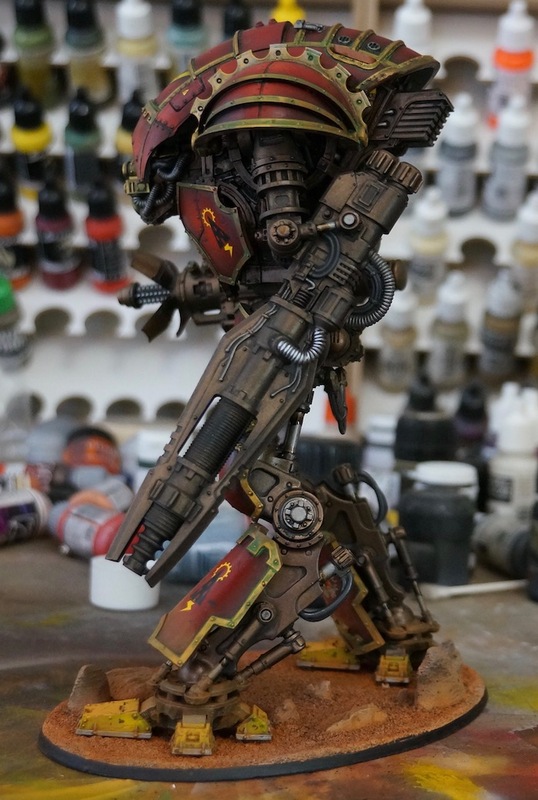 I wish I had the opportunity to win this army! The NOVA Charitable Foundation knight is in the home stretch. 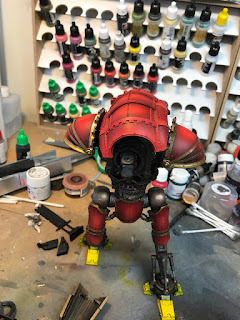 It might be hard to tell due to the gloss coat, but the armor plates are done. 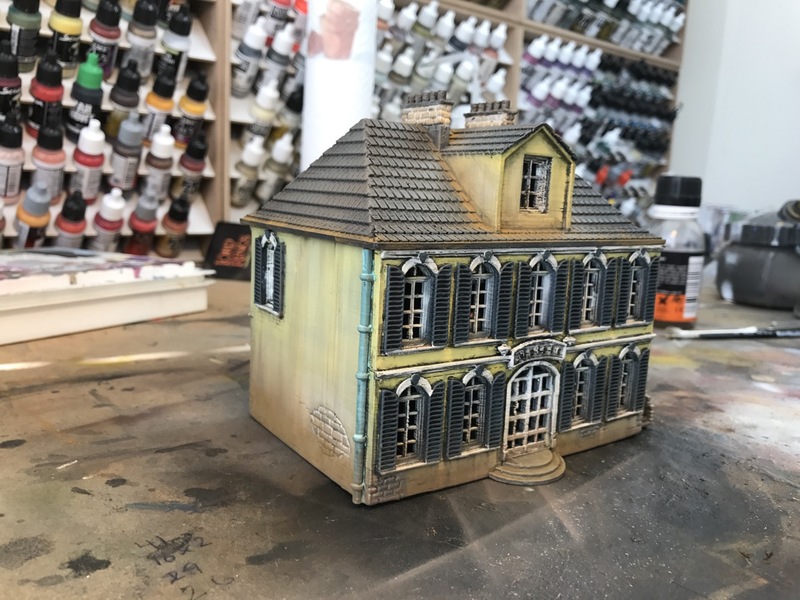 Once I dull coat the model the shading will be brought back forward, and the weird interplay between the matte oils and chipping and glossy undercoat (for protection) will have the same finish quality. 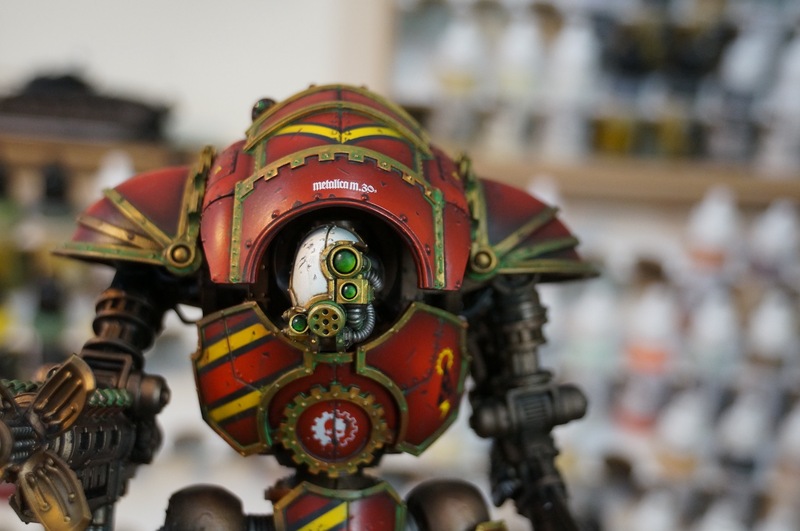 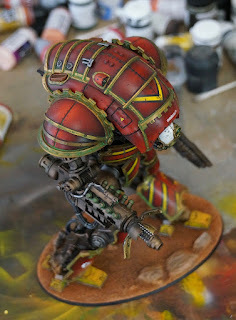 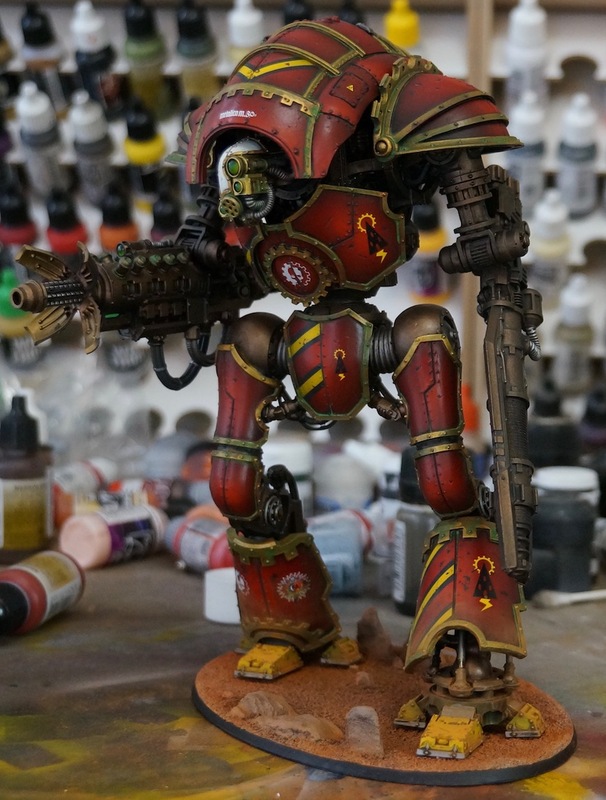 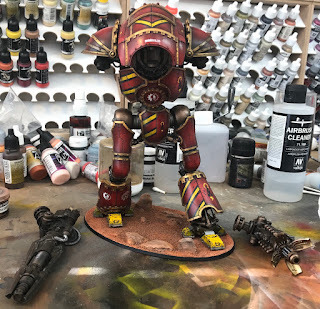 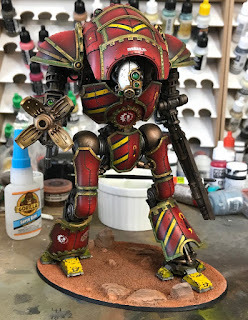 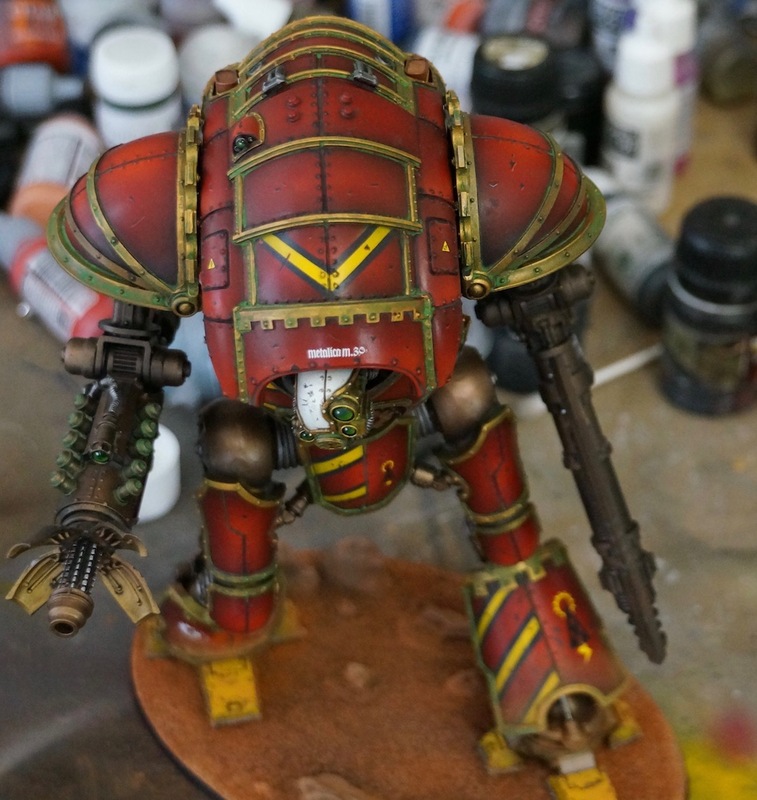 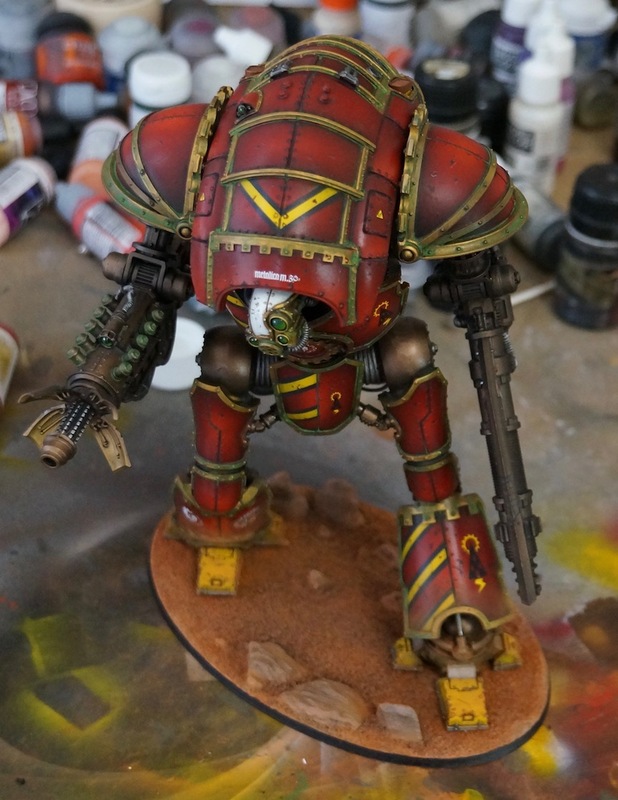 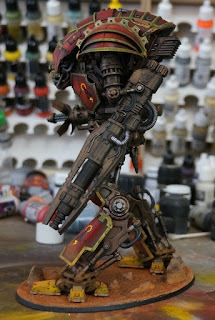 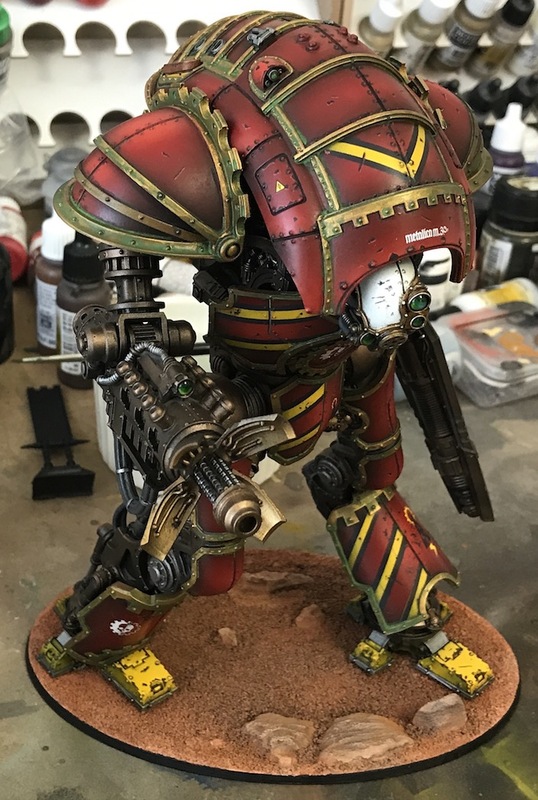 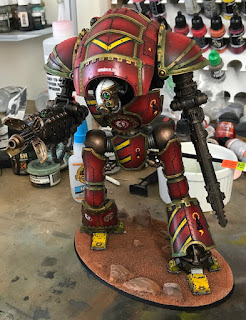 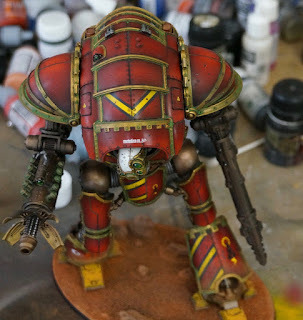 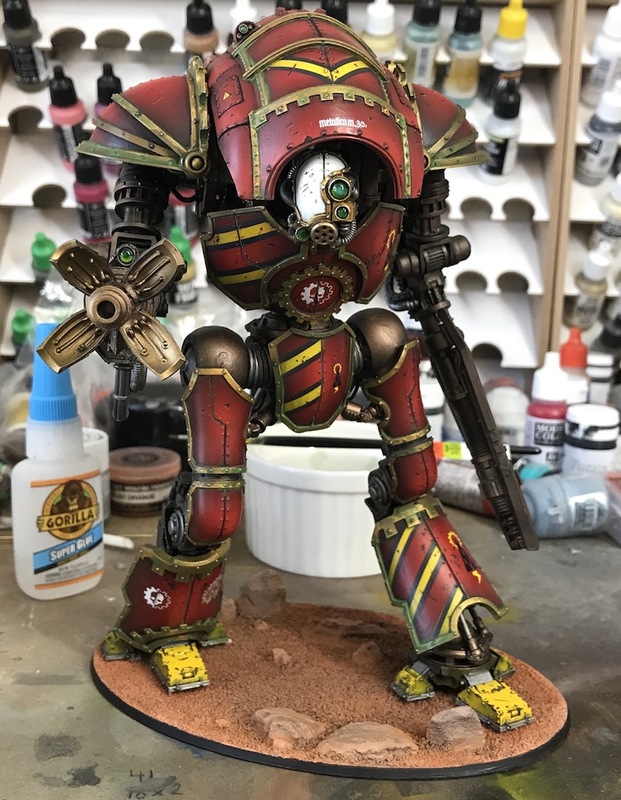 For those who don't know, you can win this knight along with a beautiful Mechanicus force by entering the NOCF raffle. 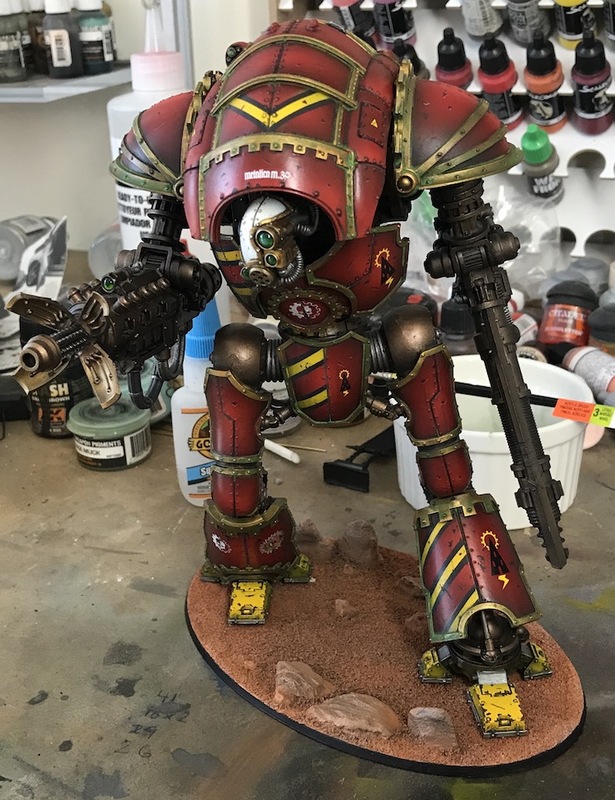 Once again we are supporting Doctors Without Borders, a wonderful organization providing medical care to people all over the world. 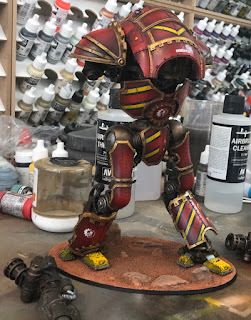 This ungainly fellow is a 30k Knight for the Charitable foundation. 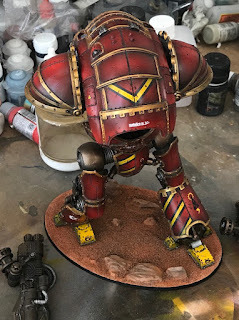 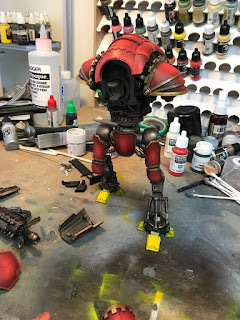 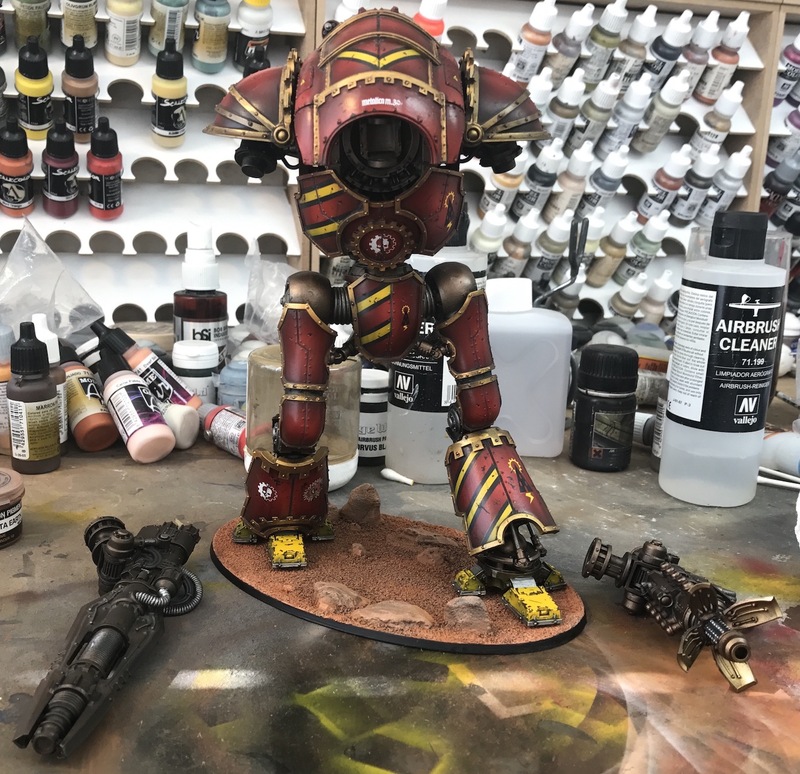 Every year I paint something for charity, and this year I was lucky enough to be tasked with painting an all resin Forgeworld knight. 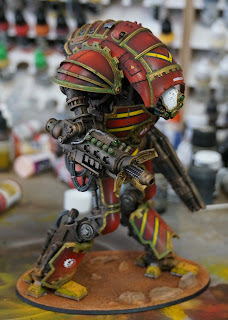 Since this guy is part of an army give away, I am sticking to painting style of the team leader. His style involves a lot of transparent paints, which is new to me. So far so good.